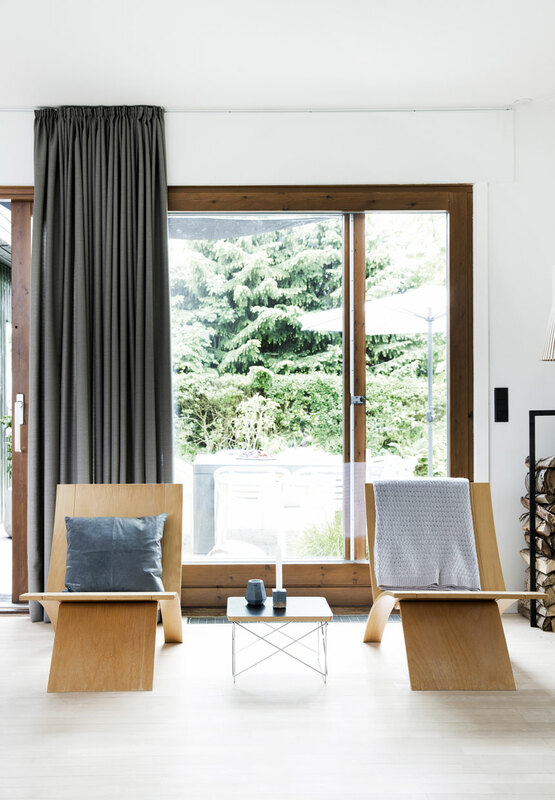 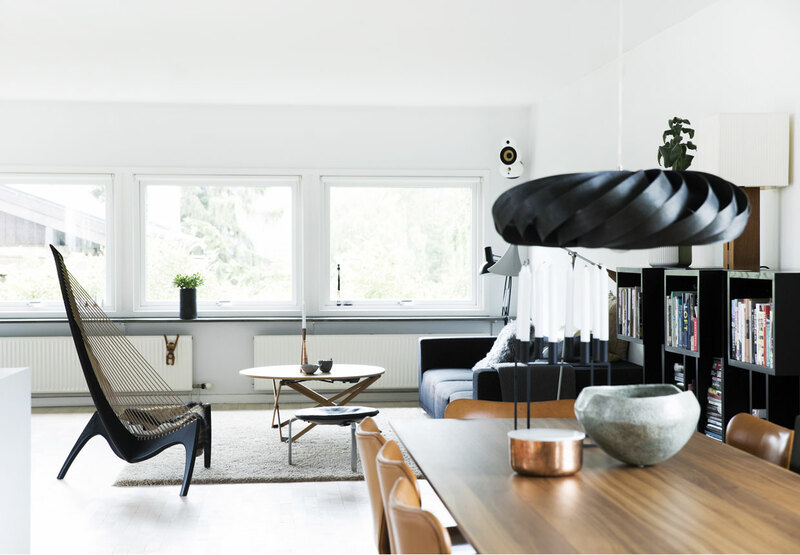 This lovely, spacious house built in 1965 was furnished with some really amazing designer pieces from the same era (Eames LTR table , Arne Jacobsen chairs and you can't miss the eccentric harp chair). 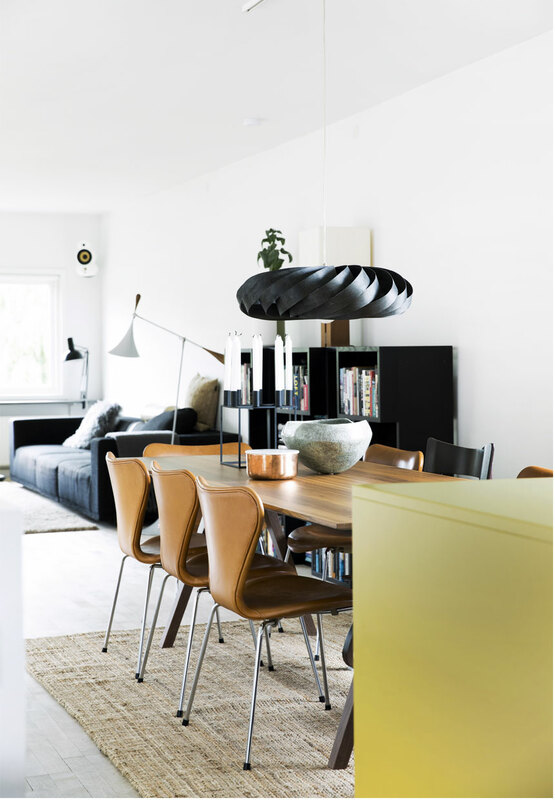 I love the calm atmosphere which is supported by the use of various wood tones and muted colors. 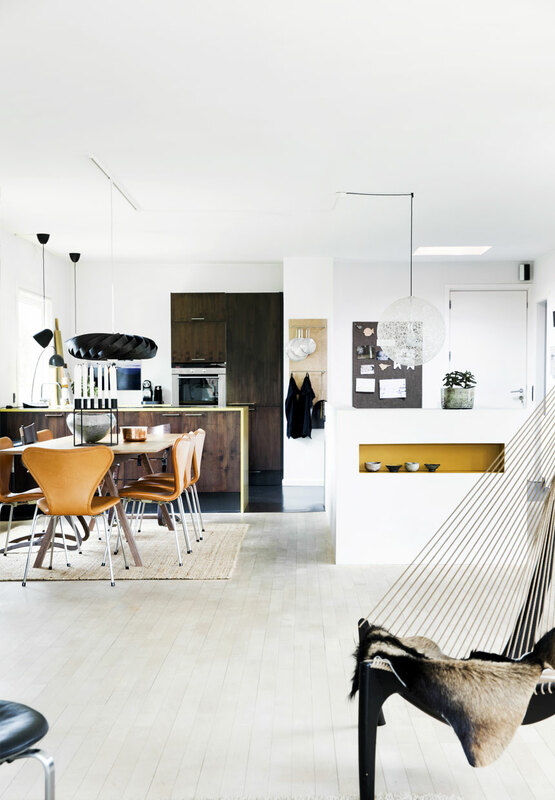 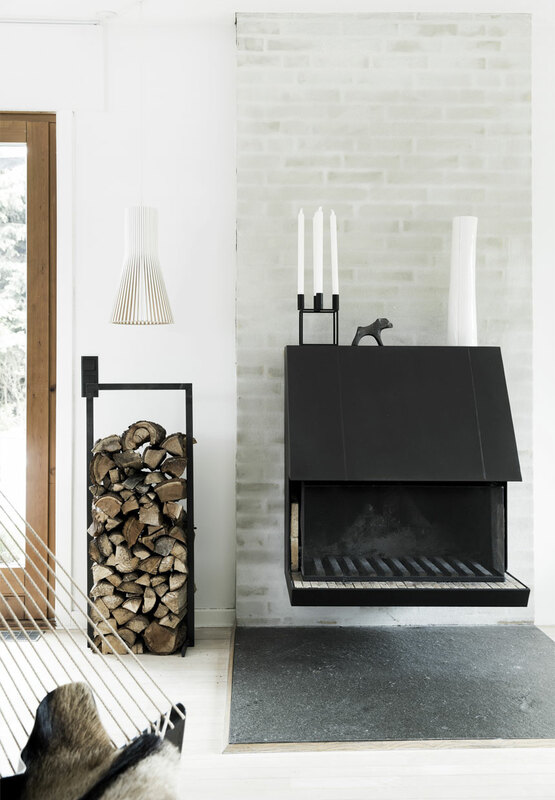 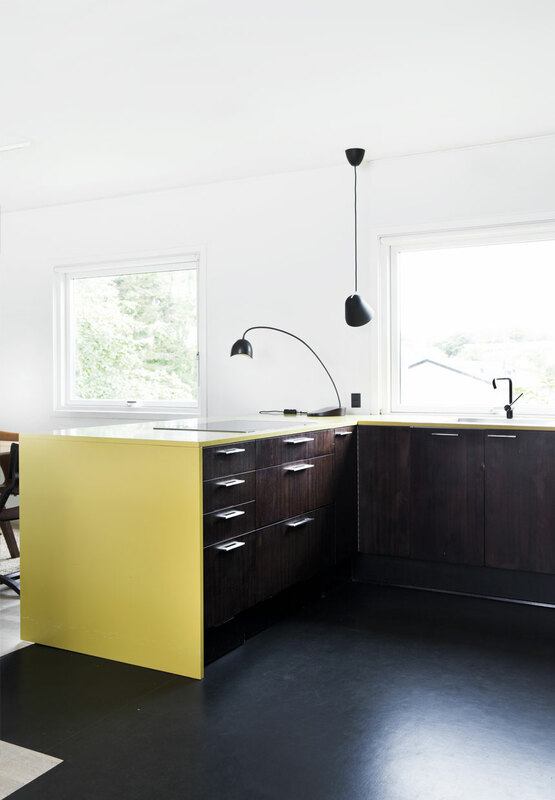 What differs stylistically from the rest of the place is the kitchen, done in a dark wood, yellow and black which visually separates it from the rest of the main living area.